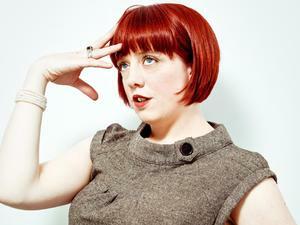 Angela Barnes - I want a comedy night! 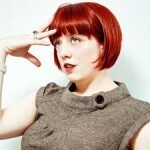 ANGELA BARNES‘s great comedy influence was her father who she lost in 2008 and had always encouraged her to give stand up a go. Not long after he died Angela signed up for a 12-week comedy workshop in Brighton and within 18 months had won the prestigious BBC New Comedy Award in front of an audience of industry movers and shakers including Sarah Millican and Stephen K Amos. “I nearly didn’t enter the competition at all so it was a massive shock to win”. Angela is now known to thousands through her weekly appearances on Channel 4’s Friday night show Stand Up For The Week. She’s also appeared on the telly alongside Eddie Izzard Russell Kane’s , appeared on BBC’s Russell Howard’s Good News , developed her own series with BBC Radio Comedy, and performed at the Latitude Festival, the Edinburgh Festival Fringe and written for Radio 4’s The News Quiz of which she is a long time fan. Her main influence (besides Dad) was the late Linda Smith although, as with any fast rising female comic of recent years, the inevitable comparisons to Sarah Millican have been drawn. There are certainly some parallels, just as Angela’s bereavement started her on the stand up path Millican’s career was kick started by a bitter divorce. Both did well in the final of the aforementioned BBC comp but Millican was merely a runner up. There’s a distinct difference in performance styles though, although Angela describes her act as; “Self-deprecating but not in a depressing way” she is nowhere near as chirpy and her world weary, matter of fact style sets her head and shoulders above the average club act. As for the future Barnes wants to do more radio comedy but it looks like the great British public will be demanding a little bit more than that!